As a tie-in writer, most of the naming of characters, places, etc, is already done for me but here are some of the tricks that I use when I do have to attach a moniker. The first thing to remember. Nobody will ever come up with a better name than Hiro Protagonist for their lead character so don’t even try. Let the character choose their own name. The Dark Angel character in my first audio drama, Malediction, <spoiler alert> executes an Imperial Guardsman who has just relayed to him information he didn’t want to hear. He literally shoots the messenger, hence I called him Tigrane. When it came to my Dark Vengeance novella, I had names for nine of the ten man Dark Angels tactical squad but didn’t have one for the heavy weapons trooper. As most of his shots missed anyway, it only seemed fitting to name him after a former England football player who also couldn’t hit a barn door with a banjo. Wear your heart on their sleeves. As I was writing the synopsis for my latest tie-in novel (I’m under an NDA so can’t even share the title with you at the moment) I heard the sad new of Harry Harrison’s passing. As Mr Harrison’s work played a bit part in my SF upbringing, my three Inquisition characters all have surnames inspired by his characters. At the start of the novel, a unit of jungle fighters play a major part in the action and although a couple of them go on the play a bigger part in the story, four of them are red shirts. As I’m a big fan of Vietnam War movies, I named all four of them after the directors of some of the better movies in that particular sub-genre. No Coppola or Kubrick though – that would have been too obvious. In my day job as an editor, I have developed a bit of a reputation for setting authors challenges when it comes to their short stories and novels. A certain Josh Reynolds story started life with me betting him a pint of shandy that he couldn’t retell a certain classic eighties comedy in the Warhammer world. Likewise Sarah Cawkwell’s Huron Blackheart story named after a beer. Now that I’m gamekeeper turned poacher, I now find myself on the receiving end of similar challenges. As I was pitching my current novel to my editor, I invoked Return of the Jedi and Return of the King when describing a particular situation. Instantly the challenge was laid down for me to sneak in as many references to works with the word ‘return’ in the title. There are already characters called Oz, Mack and K’Cee as well as a location called Wych Mountain and I’m less than a quarter of a way through it. Christian Dunn on Twitter, and Web. The next guest is author Guy Haley, on the 24th. You can find a full schedule in the link above. And keep an eye on that post, as I will be announcing several more authors very soon. I sent out a whole bunch of emails over the weekend and I’ve already received quite enthusiastic responses. 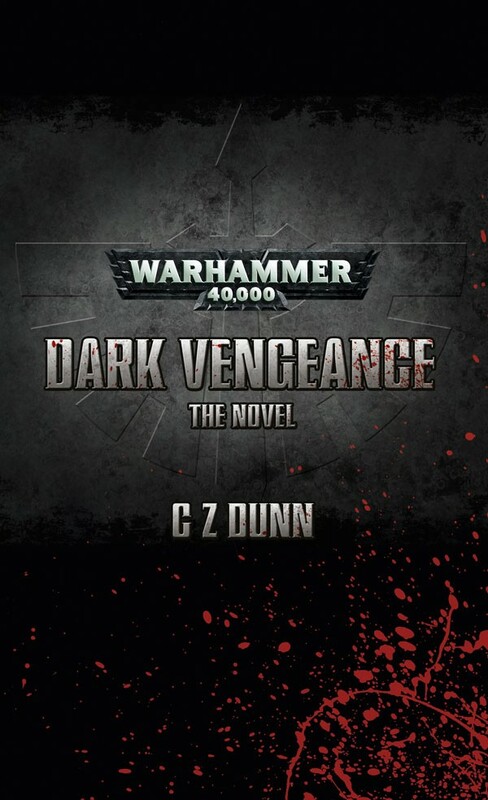 Posted on January 21, 2013, in Debut Authors Guest Series, Guest Posts and tagged Black Library, C Z Dunn, Christian Dunn, Dark Angels, Dark Vengeance, Debut Authors Guest Series, Guest Posts, Names, Names A New Perspective, The meaning of Names, Tie-in fiction, Warhammer 40k. Bookmark the permalink. 2 Comments.